Kalyan Singh's comment had drawn criticism from various quarters, with opposition leaders maintaining that it does not suit the dignity of his position. 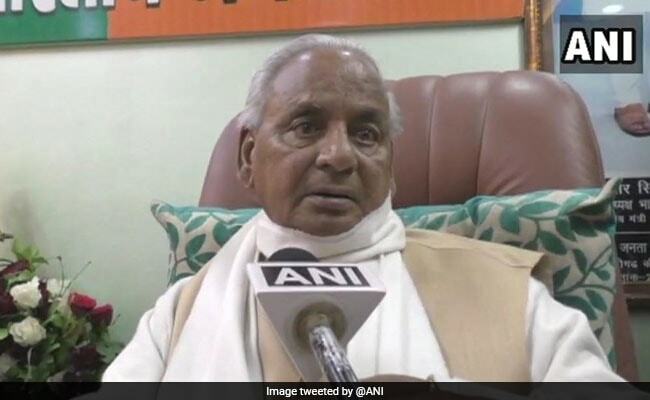 Kalyan Singh identified himself as a "BJP worker" who wants the party to win. Days after Rajasthan Governor Kalyan Singh claimed that Narendra Modi needs to return as Prime Minister for the country's progress, the Election Commission of India has sought a report from the Uttar Pradesh Chief Electoral Officer on whether such an action amounts to violating the Model Code of Conduct. "We are workers of the BJP. Going by that, we definitely want the BJP to win. Everyone wants Modiji to become the Prime Minister once more. It is necessary for the country and society that Modiji becomes the Prime Minister," Kalyan Singh had told reporters in Aligarh, his hometown in Uttar Pradesh, on March 23. After objections arose, the Rashtrapati Bhavan clarified that "nobody in a constitutional post was permitted to campaign" for a political party. Kalyan Singh's comment drew criticism from various quarters, with opposition leaders maintaining that it does not suit the dignity of his position. "The post of Governor is a constitutional post, and in a democracy, it is expected of Governors to be non-partisan and maintain distance for party politics. It is really unfortunate that Sh. Singh has made statements that do not suit the dignity of the post he is holding," Rajasthan Chief Minister Ashok Gehlot tweeted soon after the comment was reported. The Election Commission said that it was examining the issue, and would come out with a decision soon. Sources said the poll body was examining video footage of the Governor making the statement before mediapersons. The Uttar Pradesh election authority was consulted because the incident had occurred in its jurisdiction. Kalyan Singh (87) was the chief minister of Uttar Pradesh when the 16th century Babri Masjid was demolished by Hindu activists in December 1992. He quit the BJP in 1999 but returned five years later. Kalyan Singh was appointed as the Rajasthan Governor in 2014, soon after the BJP came to power with a smashing mandate.